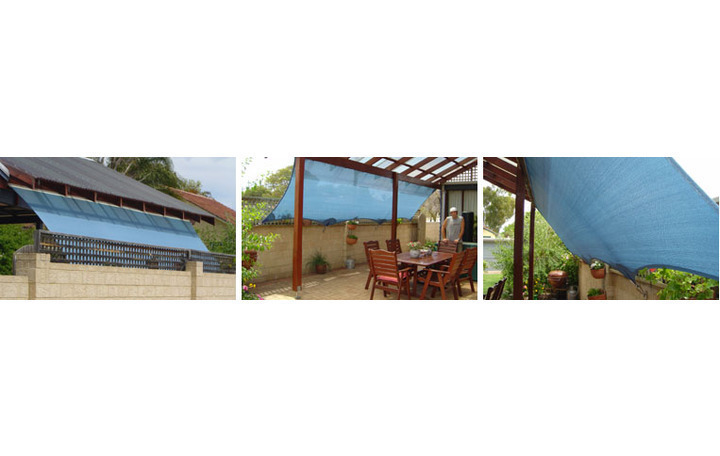 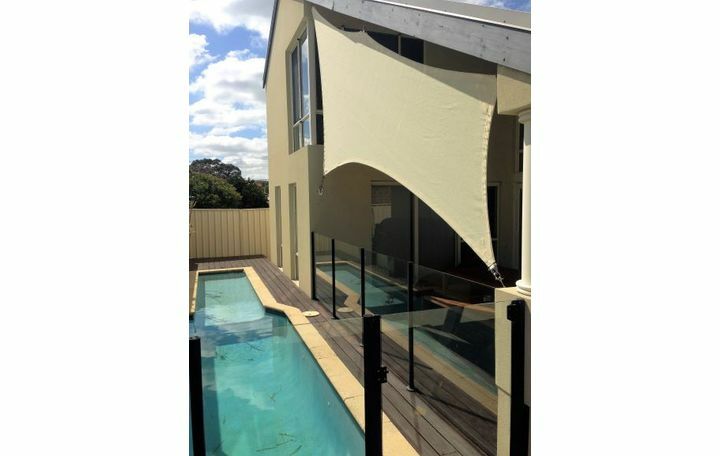 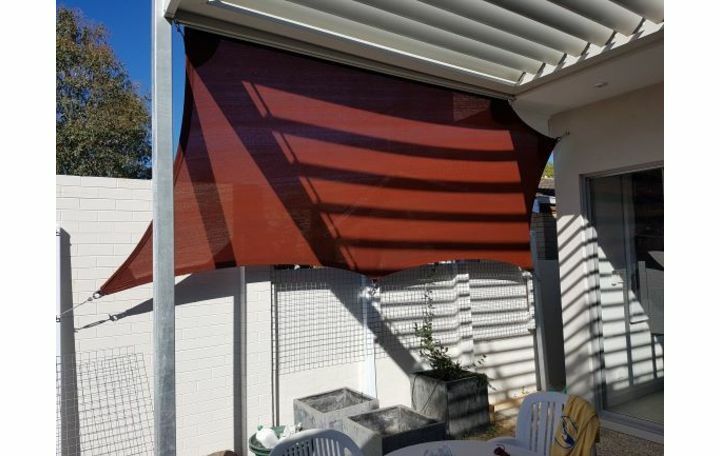 Privacy screen with a V Grip frame allows owners to comply with Council overlooking regulations. 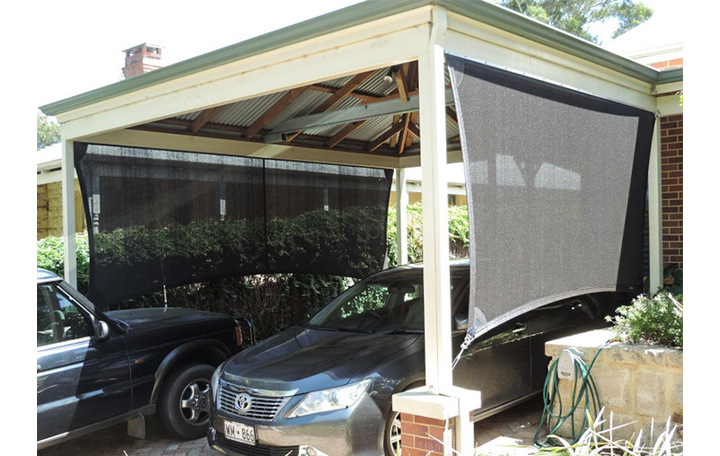 Privacy screen mounted on a sail track offers morning sun protection and noise reduction on a busy road. 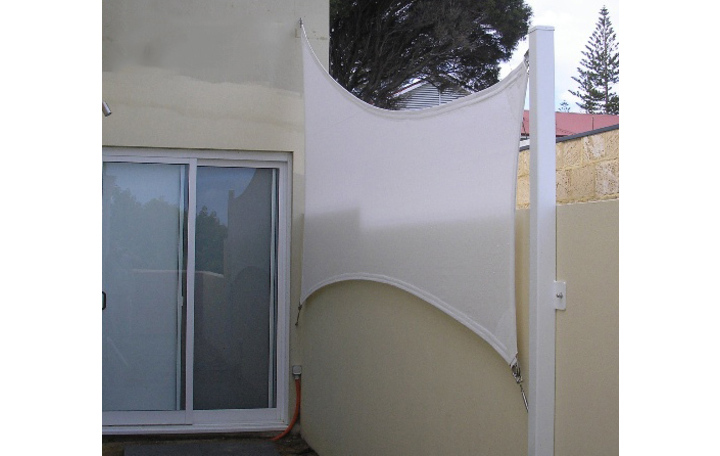 Rainbow ice white screen provides privacy for a courtyard. 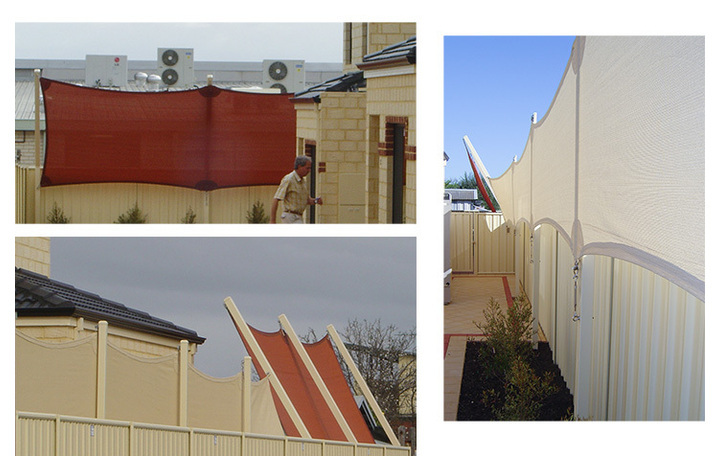 Comshade copper and porcelain privacy screens along a fence attached to posts. 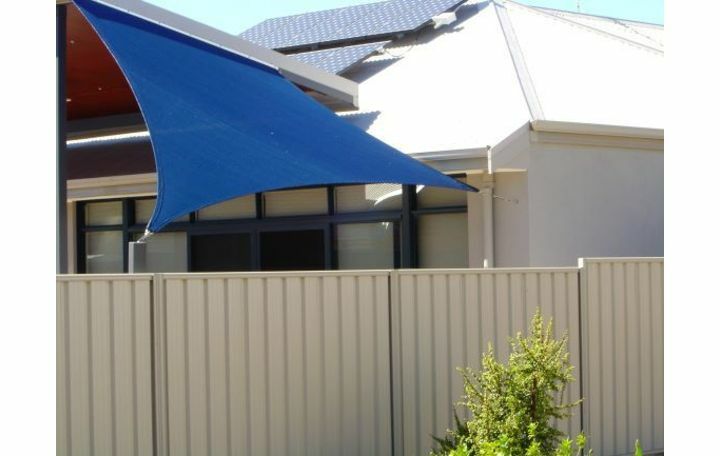 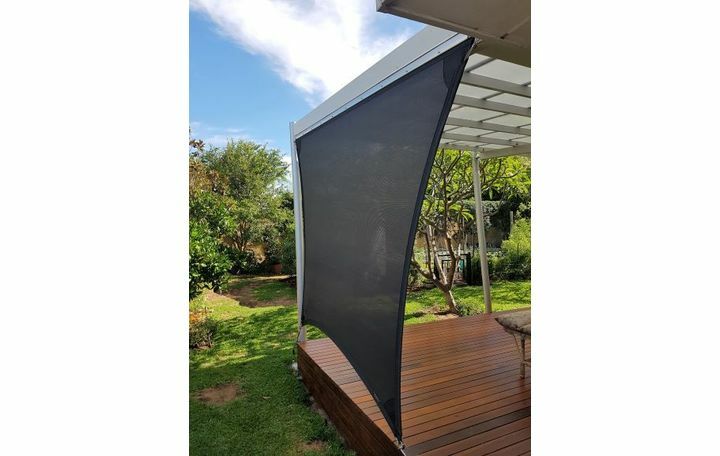 Rainbow charcoal screens provide privacy as well as protection from sun. 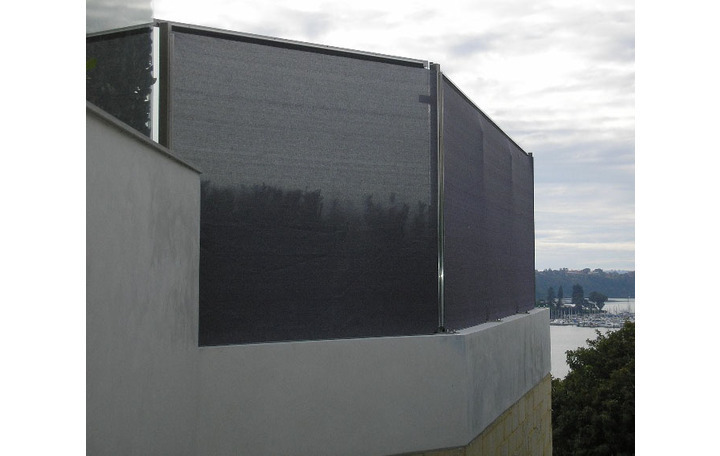 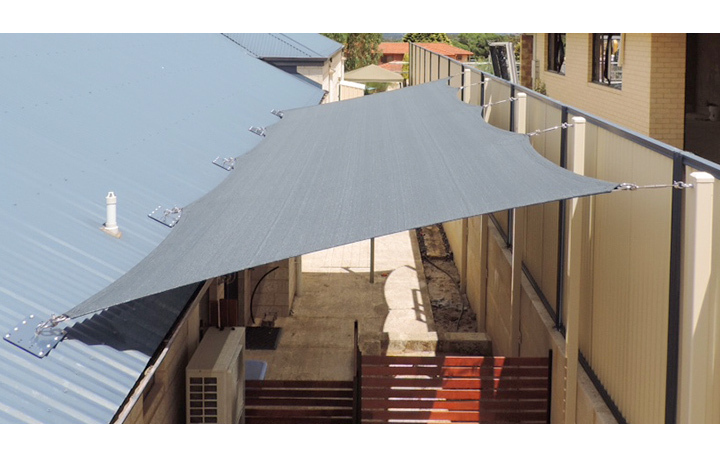 Slate screen attached via roof mounts and posts offers sun protection as well as privacy.